If you are the entrepreneurial type, and have been sticking around in icenation.com for a while, and in general find my thoughts making sense, welcome to the entrepreneur corner! Please read on! 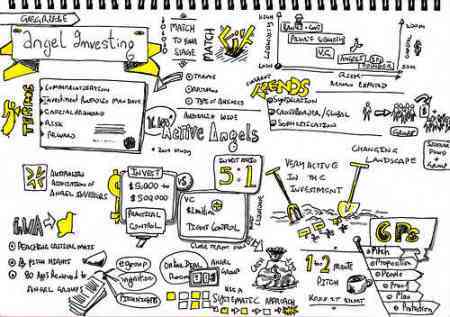 As an angel investor, I invest in ventures that I have deep knowledge in and feel passionate about, mainly high tech startups (consumer and enterprise mobile apps), restaurants (great tasting and healthy food & drink) and real estates (commercial, residential and vacant land in the up and coming neighbourhoods). I got to admit, throughout the years of building friendships with a handful of very successful professionals, entrepreneurs and venture capitalists, I am fortunate enough to find my path to happiness and financial independence. Give and take, one of my missions in life is to help out the people around me to achieve the same goal for themselves. Entrepreneur Corner is one of the channels I used to fulfill this mission. Unlike other angels who bet 5k here, 50k there via some angel groups, I believe in the high touch, high dosage approach. So, I am solely looking for 2 to 3 deals to invest per year. The goal is to maximize the likelihood of helping the entrepreneur to achieve success. 1. Able to articulate yourself, the market and the opportunity in two to three sentences. 2. Demonstrate existing market traction or unique barrier of entry. 3. Explain the use of the fund and what percent of equity in exchange. 1. What if I only have an idea? That’s okay, meanwhile, do your best to prove your idea stick in the marketplace. No. If you are not comfortable in sharing your deck in the public group of angels, don’t share it. Meanwhile, think about this, if anyone can simply take your idea/slides and become your competitor, how good is your business? 3. Can I ask question other than entrepreneurship? Yes, please use the “Submit Question” link from the menu on top. 4. How soon I can expect an answer after submitting the application? It’ll be FIFO (first in first out). I’ll try my best to respond within 24 hours. One thing for sure, I will respond to all questions, whether I am interested in the deal or not. 5. What if you already met your quota of 3 deals per year? There is always an exception if the opportunity you presented is exceptional. In case I do max out my angel investing budget, I am more than happy to endorse your deal to the angels or VCs who I dearly trust. 6. I am ready, how to apply? Cash Is King? Think Again!